All armadillos have a distinctive tough carapace made from bony plates, overlaid by horny skin. 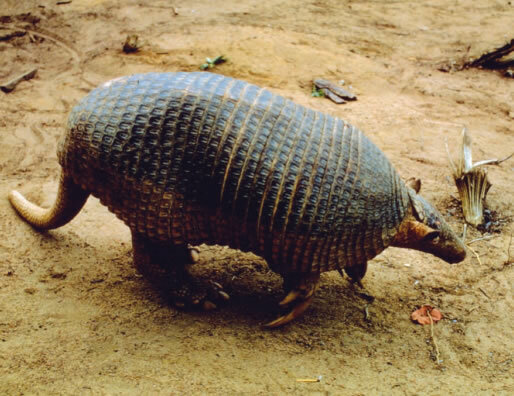 The Giant Armadillo is the largest of the 20 armadillo species and can grow to 1.2 metres in total length. Giant Armadillos are generally nocturnal and solitary. 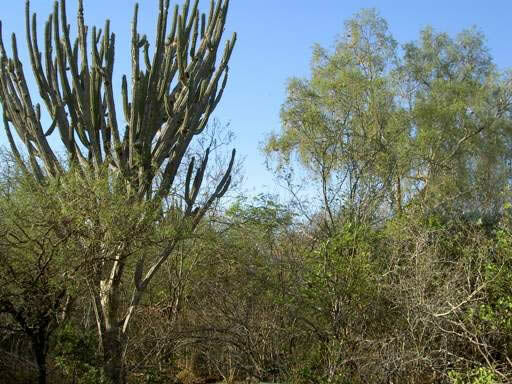 They make burrows in which they shelter during the day and emerge in the evening to forage for food. They feed mostly on termites, using their large front claws to break open termite mounds. Ants, worms and spiders also make up their diet. When threatened they will run towards the nearest hole, or attempt to burrow into the ground. Very little is currently known about the reproductive biology of this species. Giant Armadillos are found mostly in undisturbed savannah or forest, usually close to water, from northern Venezuela to Paraguay and northern Argentina. Giant Armadillos are hunted for food and their habitats are under threat from the rapid expansion of agriculture. It is estimated that approximately 50% of their former population has been lost in the last 10 years.